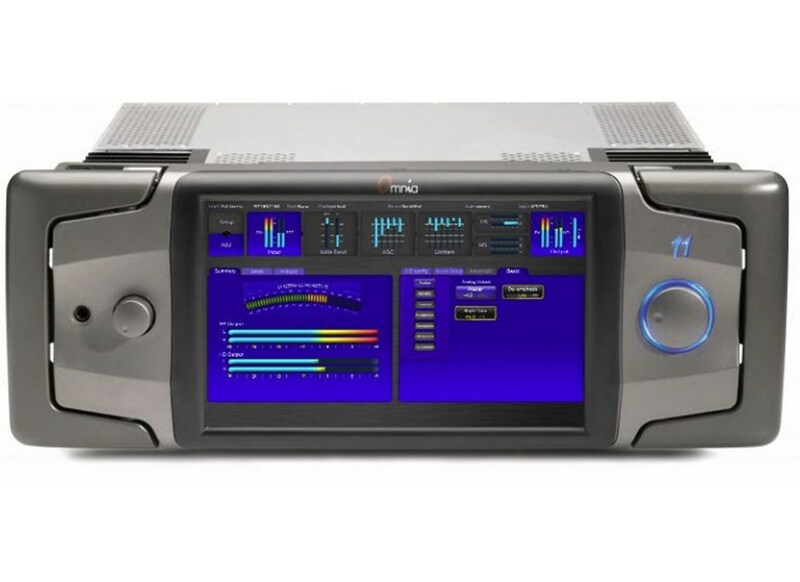 Omnia.11 v3.5 brings significant new updates to the Omnia.11 platform, including the new “Pepino” clipper—the latest FM final clipper design from Frank Foti. With Pepino, Frank redesigned the clipper section to perfectly compliment Omnia.11’s G-Force dynamics engine. Likewise, G-Force processing improvements now take advantage of the newly designed clipper. • A Transient Detail Enhancer in the dynamics section offers smarter, more powerful RMS control in the AGCs, producing a solid increase in loudness to match the performance of the Pepino clipper. • NEW! G-Force™ Dynamics Engine: The G-Force Plug-In (which ships standard on all new Omnia.11 units and can be added as an optional upgrade for existing units in the field) enables Omnia.11 to handle rapidly changing, hyper-compressed source material better than ever with new, sophisticated improvements. The G-Force dynamics processing framework lets the Omnia.11 set the overall EQ for signature consistency, making it sound cleaner, clearer, louder, more consistent, more open, and more pleasing. You hear the music. You hear the voice. You don’t hear the processor. • MPX Composite Baseband Over AES (Omnia Direct): Output of the Omnia.11’s stereo generator can be coupled directly to the modulator of the transmitter’s exciter. This enables the exciter to modulate with more precision and clarity.